New Palm Springs Taproom Planned! - La Quinta Brewing Co. Exciting news! La Quinta Brewing Co. has been proud to be part of the growing Coachella Valley Beer Scene for the past 4+ years and we are excited to announce plans to expand west! 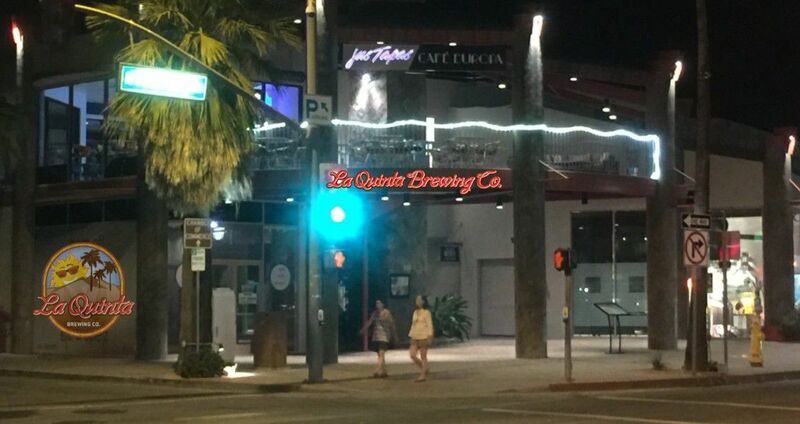 Plans to open another La Quinta Brewing Co taproom in downtown Palm Springs are in the works. Our newest taproom will be located at 301 N. Palm Canyon Drive in the heart of the central business district, below Cafe Europa/Just Tapas. The 1,340 sf interior space also will have a spacious patio overlooking the strip in PS. Being within walking distance of all that the downtown has to offer, we anticipate our new location to be an appealing destination spot for tourists and locals alike. Similar to our Old Town Taproom in La Quinta, we’ll be offering our full lineup of beers along with rotating craft taps, wine and cider with a casual and inviting atmosphere that is unique to the craft beer scene. Currently, approvals are being sought from the city and we’re hoping to be up and running by late spring (think Memorial Day weekend). Cheers!